The G35 is one of the top gaming headphones by Logitech today. It has an impressive 7.1 Surround Sound and is currently priced at just under $100. One of the biggest and most familiar names in the gaming headset industry is Logitech and the Logitech G35 headset is one of the best gaming headsets that they could offer. 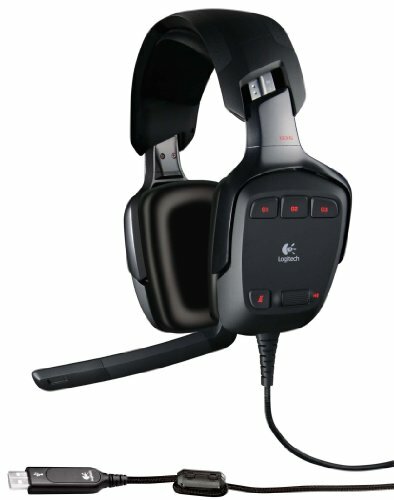 Logitech has been known throughout the world for their unique design when it comes to their headsets and their latest addition to the G-series is nothing to overlook. While the G-35 may look a bit heavier and a bit chunkier compared to the previous headset models, they’re really not that heavy as the weight is well-distributed over the frame, making them comfortable to wear and easier to fit. The overall feel of the headset is great, but there are some exposed metallic parts that may look a bit raw on the side. 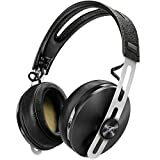 Logitech has been around for many years and they are known to build and design headsets that are originally meant and most suited for the PC. Now Logitech’s G-35 model is just the case of that but there’s a lot more things to improve in this addition to their G-series models. The Logitech G-35 comes with analog connectors which lets you use it with your MP3 players and possibly, your Xbox and PlayStation consoles with the use of proper adapters. The Logitech G-35 comes with a virtual 7.1 surround sound feature that’s powered by Dolby technology which strikes the iron hot. Dolby has been known to provide topnotch sound quality to a number of devices and its addition to the G-35 just ups its features. However, Logitech still has a long way to go for the G35 to fully utilize the 7.1 surround sound to blow away the competition. 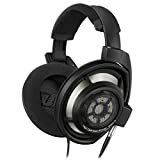 While there’s a lot of depth to the sound that the G-35 brings, it still needs a lot of improvements to better add to the overall sound landscape that headphones provide. The native 7.1 surround sound coding usually sounds good but when the system starts splitting the stereo just to fill the other sound channels, the quality of the sound just drops. Fortunately, the Logitech G-35 gives you a convenient control to toggle between the stereo mode and the virtual 7.1 surround sound. It’s better to try out both of these settings depending on the game that you’re playing and if you’re familiar with using and adjusting the equalizer, you can get a hand on how things sound, especially when it comes to movies or music. One of the biggest issues about the Logitech G-35 headset is that it has a lot of useless features and it lacks the most important ones to begin with. One of the most unusual features is the voice morphing feature which isn’t necessary for headsets and falls a bit more on gimmicks and tricks. However, Logitech ignores adding a higher level of audio quality, making it more convenient for users to adjust the sound to their preference. While this headsets sports an analog 3.5 connectors, it doesn’t work in addition to the USB connector and it doesn’t even come with gold plating on the connectors, making it more prone to rust and damage overtime. But that level of plating is something to be expected because of how affordable the Logitech G-35 is compared to other models. Another disappointing feature of the Logitech G-35 is the microphone which only has a response range of 100 up to 10,000 Hz which makes it one of the least responsive microphones compared to the others in the market. If you’re looking for a headset that’s meant to communicate in online games, then the G-35 model won’t do you any good since you might not get your voice through the microphone. The design of the microphone becomes annoying too because instead of letting the microphone sit on the side of the headset, the G-35’s microphone manages to stick out no matter what you do. One more thing that you have to watch out for is the installation that’s needed for this headset to work and the annoying pop-ups that come from the control panel which requires you to have the G-35 headset connected to your PC to get the G-35 software to work. On a side note, the Logitech G-35 model has G-Keys that are useful, similar to their other Logitech gaming peripherals. However, they’re not fully programmable so don’t expect that much out of them. But you can adjust the volume, toggle the voice morphing and adjust other settings as well. The Logitech G-35 headset falls short on the mediocre size because of its lacking features and a number of improvements that need to be made. The Dolby surround sound adds great quality to the sound but Logitech still has a long way to go when it comes to employing the virtual 7.1 surround sound and fully take advantage of the Dolby technology for even better sounds. The Logitech G-35 fits comfortably and might look heavier compared to the other headsets in the market but the weight isn’t that much of an issue. But that comes as no surprise as the Logitech G-35 is an affordable choice if you’re shopping for headsets on a budget. If you’re looking for great high-powered headsets for your gaming needs, it would be better to look elsewhere.